If there’s one thing UCP Game Zone knows – it’s pizza. We love pizza and have been voted ‘Best of the Beach’ pizza year after year. What makes up our award-winning pizza? It all starts with the crust, which is made from scratch daily. Then you add our secret red sauce, made from homegrown tomatoes from our special farm out in California. Add the freshest toppings to that handcrafted pie – and you’ve got a pizza that’s loved by both locals and tourists alike. When you’re searching for a restaurant for your family, you want one that has something on the menu for everyone. And that place is UCP Game Zone. Our mouthwatering pizza is served as both personal and large sizes, and we even have PB&J pizza for the kids! We use only the highests quality ingredients and offer options for those that have diet constrictions, including options for vegetarian and vegan. Any of our specialty pizzas can be made with a gluten-sensitive crust. Not feeling pizza? We also serve hot sandwiches, fresh salads, and delicious appetizers. Skip the hassle of planning a birthday party at your house and let us take care of the details! We have the best party deal in Myrtle Beach at only $10.99 per guest! This package is a party planner’s best friend as we supply the pizza, drinks, game cards for game play, and plenty of fun for everyone. Endless entertainment, prizes and pizza – sounds like a fun party to us! Call us today to plan your next party and to learn more about our details and upgrades for our current party package. We put the ‘Game Zone’ in UCP Game Zone with our state of the art game selection! We have all the latest interactive games including Target Bravo, Walking Dead, Lane Master and Jurassic Park. We also have a Magix Floor where you can pop bubbles or stomp on monsters. We have a whole section of carnival-style games including Ring Toss, Whack N’ Win, and Clown Down. Race to the finish at the Mario-themed water gun race! Some of our games – including Skee Ball and Space Invaders – may leave you feeling a bit nostalgic. 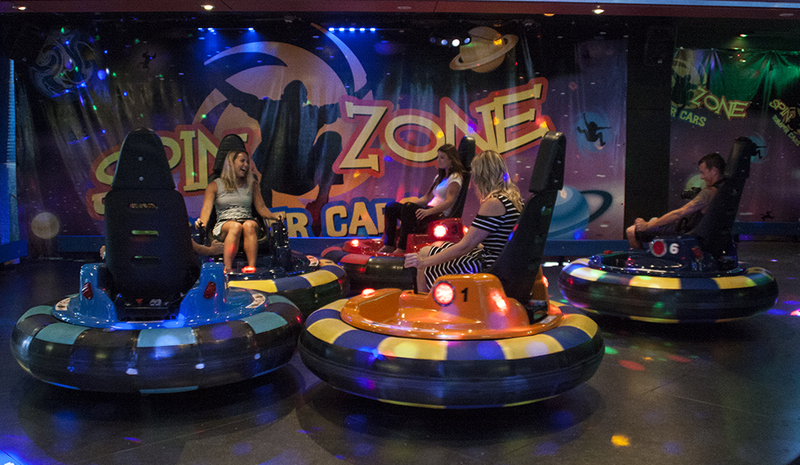 We also have a Spin Zone – our version of bumper cars, where you can ride, spin and bump off of your friends and family. Whether you’re bowling strikes or shooting hoops, we’ve got plenty of games to entertain the family for hours. What’s an arcade without prizes? At UCP Game Zone, we have a giant prize center filled with the hottest prizes. We’ve got NBA and NCAA basketballs, emoji pool floats, glittery snakes, Nintendo products, floating beer pong, stuffed animals and more! And at UCP Game Zone, there’s no need to keep up with tickets or coins. Your game card tracks your points for you and you can load up on prizes when you’re done. Whether you’re looking for a place to entertain the kids on a rainy day or after a day on the beach – stop by UCP Game Zone to eat, play and win!